What kind of bride will you be, based on your choice of Ring? Are you and your significant other planning to take your relationship to the next level? Can you hear the quaint sound of wedding bells in the near future? If the answer to both the questions was an astounding “Yes”, or even if you are painfully single but have planned each and every second of your fairytale wedding in your dreams, this quiz is guaranteed to blow your mind. At Zaamor, we believe every bride is unique. While some of them are traditional and love working by the system, others love being quirky and bringing out their individuality in every manner possible. If you are a bride-to-be, in search of a quintessential wedding ring, pick the ring which suits your personality, and we will tell you the type of bride you will be. You are a conventional bride who loves tradition. Right from wearing the perfect red lehenga or saree, accessorised with traditional gold jewellery to being given away by your father in a lavish ceremony, you want it all. Do not be surprised if you opt for classical musicians to kick-start your wedding ceremony and leave with a traditional going-away function. 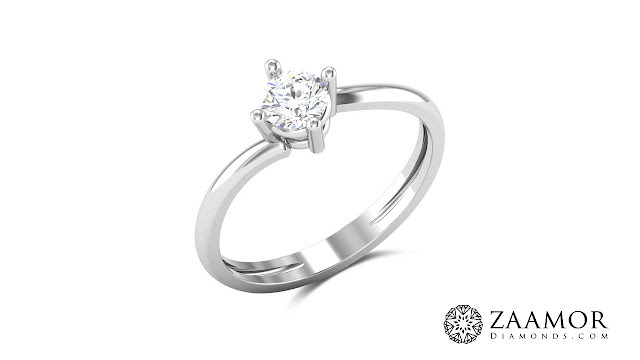 If you breathe tradition, opt for Zaamor’sAldis4 Prong Solitaire ring. This exquisite ring is available in both yellow and white gold and brings in an eternal aura to the blushing bride. Choose from a purity of 18 Kt or 14 Kt and hold onto a piece of eternity as you tie the knot. You are someone who loves bling and everything over-the-top. There is no doubt that you’re going to go all out as a bride and only invest in the best. And, why not? You deserve every ounce of it! From designer outfits to signature stilettoes, you are the showstopper of every event so you can only imagine how you will be on your big day! 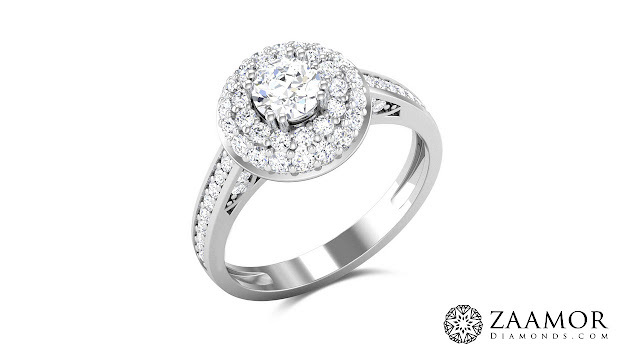 Do not settle for less and treat yourself with Zaamor’sTwo-Layer Diamond Solitaire Ring. This colossal ring can be customised in fine yellow or white gold with a purity of 14 Kt or 18 Kt. Shine bright like a diamond on your special day and let this massive rock complement your personality. You are a die-hard romantic by heart who believes in fairytales and being swept off your feet by a knight in shining armour. On your big day, get ready to startle your significant other as a blushing bride tied down to her roots but aiming for the stars. From muted wedding décor in exquisite pink roses to delicate jewellery and a soft, pastel-shaded lehenga, leave no stone unturned in stunning your groom with your natural grace. 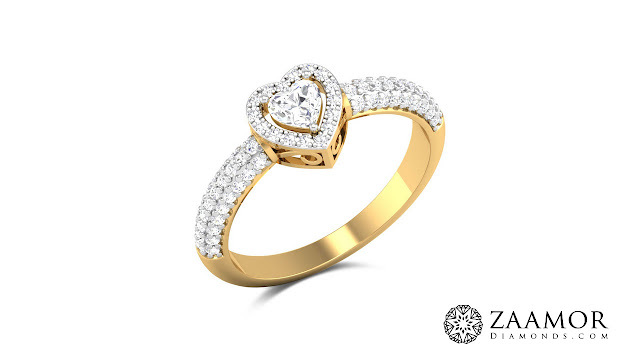 Choose a ring which complements your personality by opting for Zaamor’sGladyce Heart Cut Solitaire Ring. The brilliant solitaire cut in an intricate heart shape adds a generous dose of elegance to the shy bride’s trousseau and will be the physical embodiment of your timeless love story. You are a contemporary bride who has strong individualistic values. You believe in bringing out your quirkiness in your wedding ceremony with hand-made wedding décor and a stunning wedding dress which tells a story of its own. From unconventional jewellery to funky bridal make-up, you are completely comfortable in your skin and drag in your bridesmaids to be the same too! If you are known for your quirk, opt for Zaamor’sMariko Cushion Cut Solitaire Ring available in yellow and white gold. This piece is known for its edgy design packed with the goodness of traditional solitaire diamonds. As the name suggests, you are regal in every manner. Royalty is your middle name, and you probably are the queen bee of your group. When a leader like you becomes a bride, it is only natural to opt for monarchial designs and patterns for your big day. Think huge chandelier earrings, a magnificent velvety lehenga and striking heels to swoon your loved one off his feet. Put on your invisible crown with Zaamor’sLoving Forever Solitaire Ring available in stunning yellow and white gold. The graceful array of brilliant diamonds, dazzling on your ring finger, is guaranteed to match up to your royal personality. 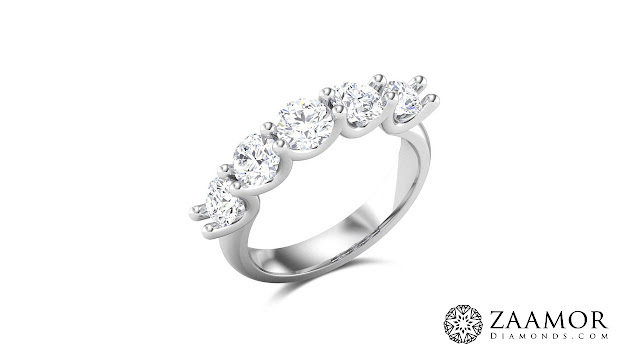 If you find beauty in minimalism, opt for Zaamor’s simple yet elegant Exotica Band Solitaire Ring. Available in white and yellow gold, this exquisite masterpiece comes with an array of brilliant diamonds spread over the band, with a stunning solitaire placed right at the centre of the jewel. You can opt for a purity of 14 Kt or 18 Ktand keep the compliments coming! Now that you are convinced that a wedding ring is nothing but an extension of the stunning bride’s personality and characteristics, which one would you treat yourself with? Also, make sure you check out our detailed blogs on how to pick the perfect ring for your man and all you need to know about platinum wedding rings for a better insight. 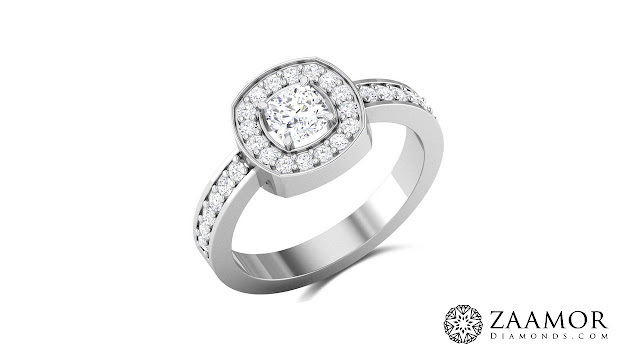 For more spectacular options, log onto Zaamor Diamonds and take your pick! Zaamor Diamonds Blog: What kind of bride will you be, based on your choice of Ring?